This album "BINTANGS Rhythm & Blues PROMO " is a 12" Promotional LP and has been distributed to DJ's. 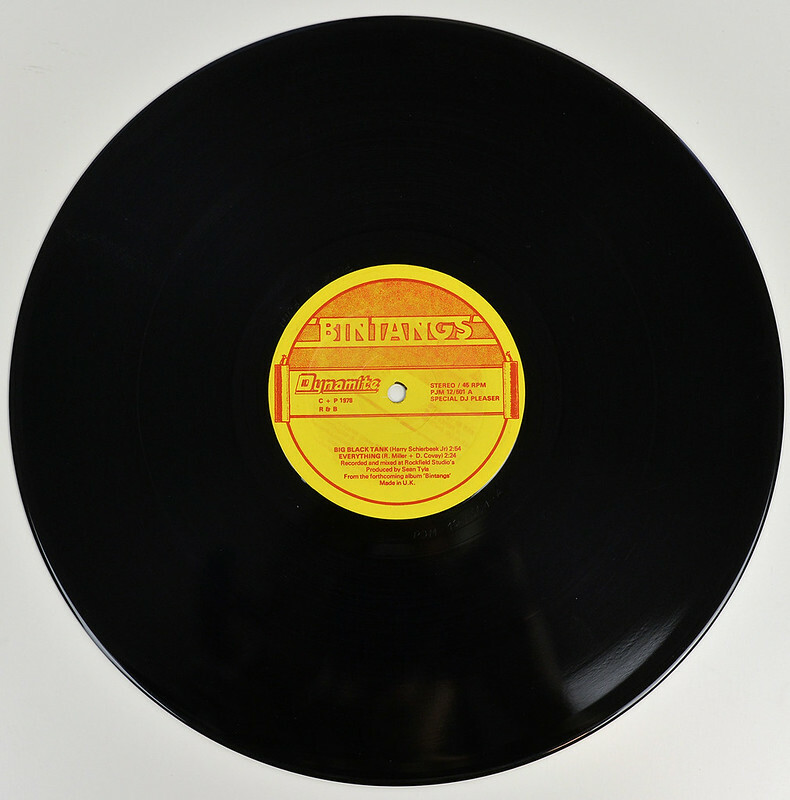 The label has "Special DJ Pleaser" printed on it (near 3''o clock). 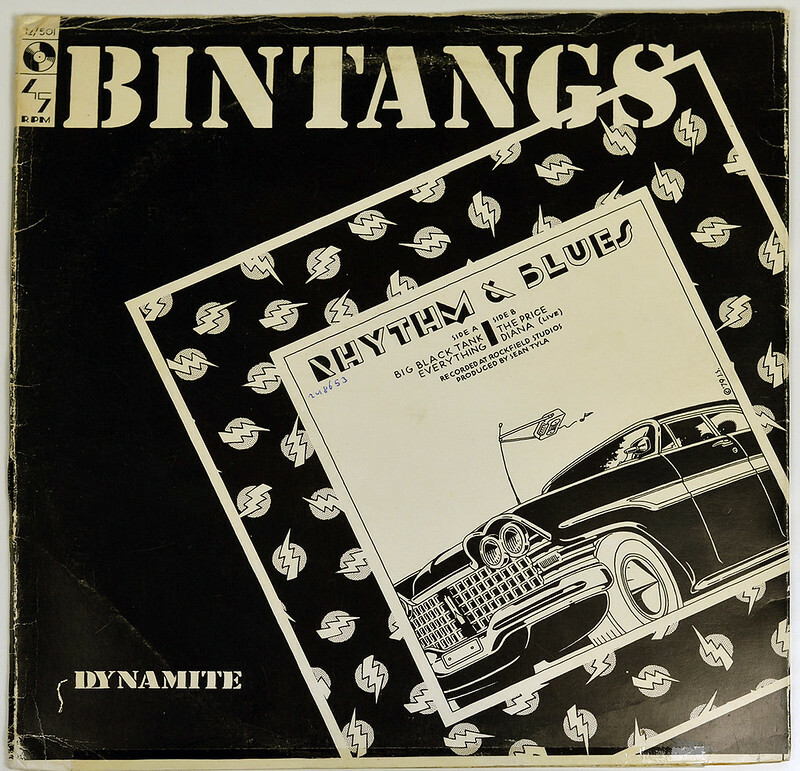 The Bintangs is one of Holland's oldest rock/blues-rock bands and was formed around the year 1961 and are today (2019) still active. They started in 1961 as a so-called Indorock band ("Indorock" comes from bands with people of Indonesian origine playing rock and roll and knowing for their lively acts, eg: The Tielman Brothers). Therefore the band-name comes from the Indonesian word "Star". The Bintangs have always had a unique, progressive sound. They started out in the mid-sixties and l many other groups then they drew heavily upon American Blues and Rhythm and Blues. They even played in one program with the Rolling Stones , The Kinks and at one tine there was a strong rumour that Van Morrison would join the Bintangs as a lead singer. However nothing came of it... and then again they didn't really need him. Gus Pleines who is one of the two original members still in the band became their singer. Together with Frank Kraayeveld, the bass-player they went through it all., Favarable Criticism , troubles with managers, producers, record companies and their executives. They even had some hitzsin Holland and Germany (Ridin On The L & N and Travellin In The U.S.A.) in 1969-1970. After that they seemed to have disappeared but they reformed, added some young blood and cut an album -Genuine Bull- with Steve Verocca at Rockfield Ln 1975. The album did pretty well and the Bintangz were ready to record another album but none of the major companies wanted to deal with them not realising the power of Bintangs' Rhythm and Blues. 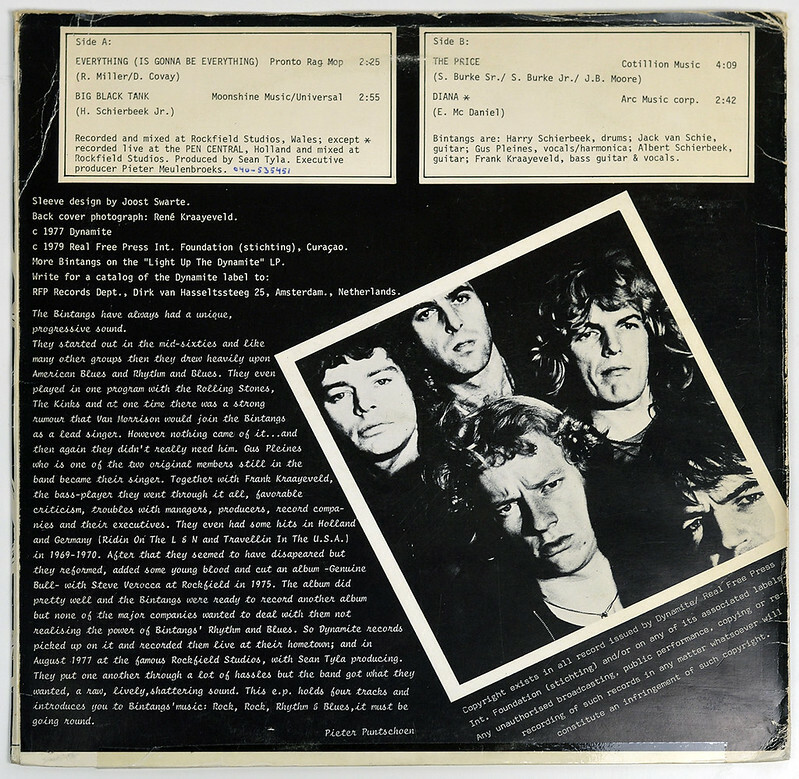 So Dynamite Records picked up on it and recorded them live at their hometown; and Ln August 1977 at the famous Rockfield Studios, with Sean Tyla producing. They put one another through a lot of hassles but the band got what they wanted, a raw, lively, shattering sound. This e.p. holds four tracks and introduces you to Bintangs' music: Rock, Rock, Rhythm & Blues,it must be be going round. High Resolution and Quality Photos of Complete Album Covers "BINTANGS Rhythm & Blues PROMO "
Album Back Cover Photo of "BINTANGS Rhythm & Blues PROMO "
Complete Track-listing of the album "BINTANGS Rhythm & Blues PROMO "